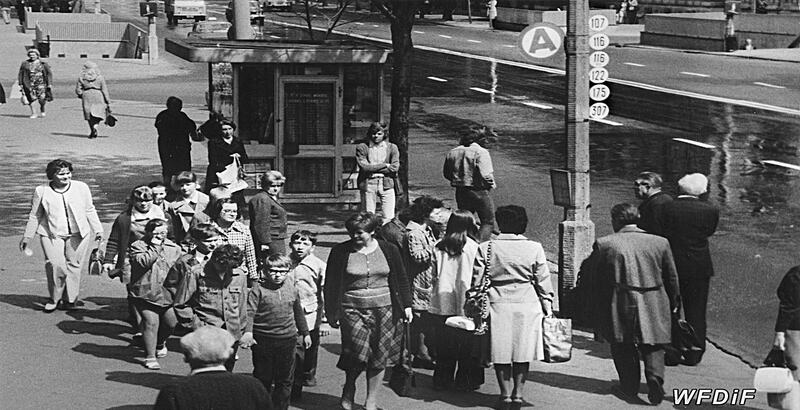 In a little over seventeen minutes, Halladin offers a touching observation of pupils in one of Warsaw’s ‘special schools’ for children whose learning difficulties had them excluded from the regular state-run education. Rather than segregating, the director highlights individual differences between the kids’ personalities. In the beginning, a female voice-over still labels their disability as ‘a drastic problem’. Later the film encourages understanding of the portrayed pupils. Halladin uses an on-screen female teacher as a positive role model whose work is of benefit to the whole of society. The director’s affirmative outlook is guided by an intention that mirrors motherly kindness, which is channelled through the patience of the teacher, as well as that of the camera that tends to linger on the kids’ attempts to get things right. 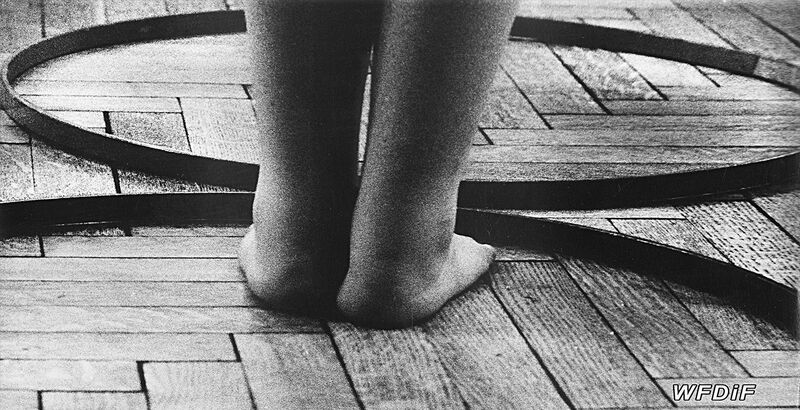 About three minutes into the documentary, an anonymous child’s feet go back and forth between plastic hula-hoop-like circles. The movements of the child, who is only shown from knees down, appear jerky, fidgety and struggling to fit into the spaces inside the loops. Some steps are more successful than others, but from time to time one leg lands on the wooden floor outside the edges of the hula-hoops. The child tries its hardest to complete the assigned task, but the job is not an easy one. Anxiety disrupts the expected fluidity of every step. The sequence plays to a subtle piano soundtrack. The viewer has been prompted by previous scenes to read these shots as a metaphor for the pains faced by the children with learning disabilities, whom the camera continues to observe, as with similar difficulties they try to meet the challenges of other daily assignments. 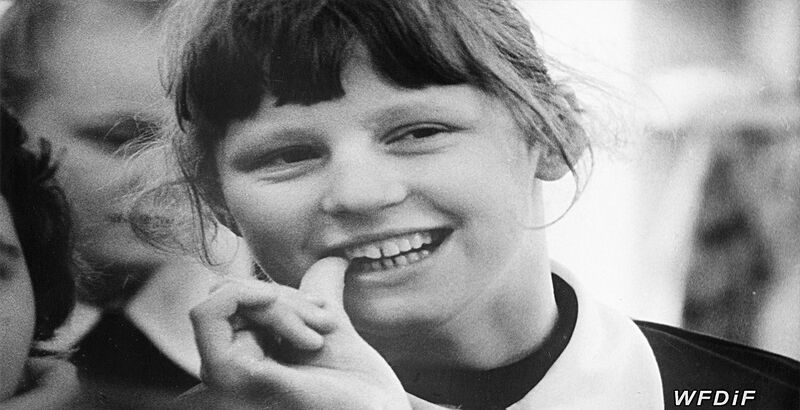 Threshold was one of the first Polish documentaries hinting to the potential social integration of children with learning difficulties. It appeared in the midst of a change when the previously marginalised disabled population started to gradually enter the cultural discourse. 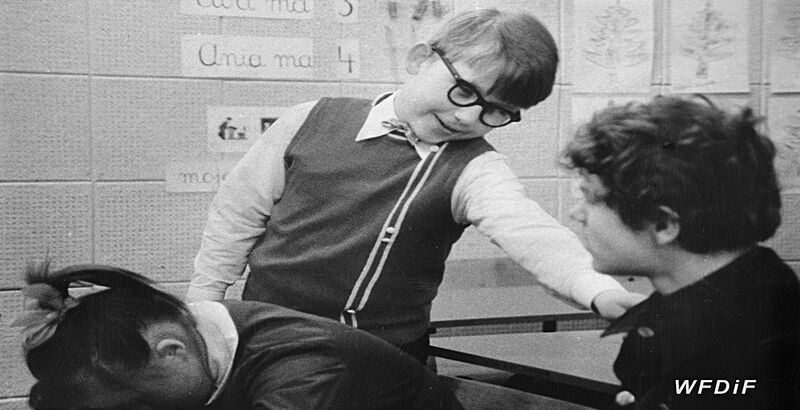 Even though in the 1970s several documentaries, as well as narrative films, began to portray a range of disabled characters, there were still very few screen stories that explored the lives of children with learning difficulties. While there had existed several instructional films made at the Educational Film Studio in Łódź that opted to promote methods of therapy for children with learning difficulties, not many departed from an aura of charitable victimisation. Halladin’s short stands out because she doesn’t victimise these kids. She always situates them in the centre of her frames. Her close-ups help the viewer establish a relationship with the young individuals. To imitate their perception, some shots are partially blurred. Other frames appear invaded by visual obstacles that distance the viewer from some of the on-screen children. Watching Threshold we seem to be observing the children, but the shifting perspective of the camera invites a deeper reflection on social perceptions of learning difficulties. Threshold is available on DVD with English subtitles.